We have been planning our first-ever all-day artists' retreat for months, and are pleased to be able to announce that registration is live! One of the driving motivations behind the Anselm Society is three groups of people who don't often listen to each other--artists, their audience, and pastors. In this retreat, pastors of numerous local churches (along with popular Anselm speakers) are coming together to love artists and to refresh them spiritually. The topic of the retreat is Divine Inspiration: Approaching God in the Artist's Craft. The featured speakers for the retreat will be Matt Burnett, Lancia Smith, Clay Clarkson, and Ken Robertson; along with numerous other pastors and mentor artists who will be in attendance for prayer, spiritual direction, and low-key conversation. 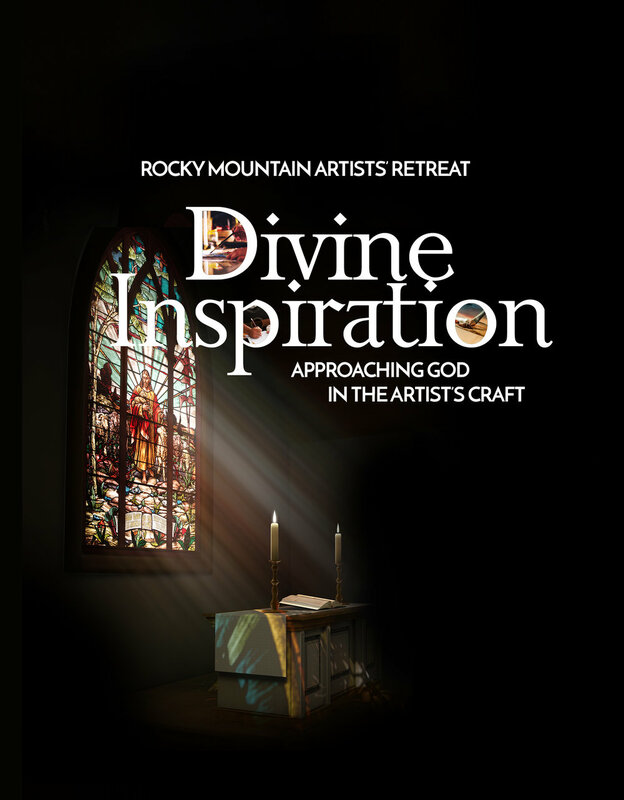 Hosted by the Anselm Society and supported by numerous Colorado churches that love artists, this one-day retreat for artists and art-lovers will explore the ways the church has used the imagination to enrich our approach to God for centuries. Local clergy and artists will help guide us through spiritual practices and reflect on spiritual truths. From refreshing ways to approach Scripture, to time to reflect and create, this day will help us use our imaginations to engage with God in new ways, freeing ourselves to creatively love and be loved by Him. This is not a workshop where artists will be left with a list of ways to improve, but rather an invitation for people to receive and reflect on the many ways God imaginatively loves us and hopes to use our imaginations as a space to bring us closer to Him.